Coastal Autism Therapy Center, Inc.’s behavior technicians are all trained extensively to provide state of the art ABA therapy by board certified behavior analyst. Behavior technicians possess a bachelor’s degree in behavior analysis, psychology, education, or some other related fields. 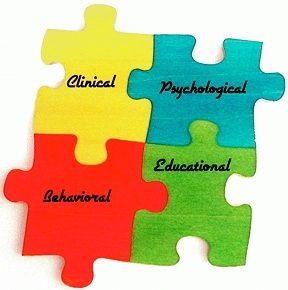 Behavior technicians’ minimum requirements are enrolled in an undergraduate program in behavior analysis, psychology, education, or some other relevant program as a junior. Passion and choosing this career path as a calling is imperative and expected when providing ABA therapy services from all of our technicians at Coastal Autism Therapy Center, Inc. The BCBA provides session-by-session supervision, evaluation, training, and feedback. In addition, our behavior technicians receive frequent ongoing training in the application of ABA techniques via monthly trainings conducted by the BCBA, one-on-one therapy supervised by the BCBA, and monthly clinical staff trainings. Coastal Autism Therapy Center, Inc.’s behavior technicians also attend outside ABA conferences and continuing education trainings. Creative, patient, positive and passionately enjoy working with individuals with autism and other developmental disabilities. Supervised by Board Certified Behavior Analyst that has several years of experience working with individuals with autism and other related developmental disabilities. Have no prior criminal history and have a thorough state, federal and national criminal background check. Receive 200 hours of intensive training supervised by the BCBA prior to rendering services to clients. The BCBA provides monthly ongoing trainings, and 100% weekly audit reviews to ensure they are utilizing proper teachings and behavior reduction procedures in order to maximize your child’s therapy. Provide services in the center, home, school, and/or community to best meet the needs of the individual and their family. Implement programs as directed and supervised by the BCBA. Obtain continuing education opportunities to our staff to ensure they are up-to-date with the most current research on Applied Behavior Analysis by attending conferences and workshops.